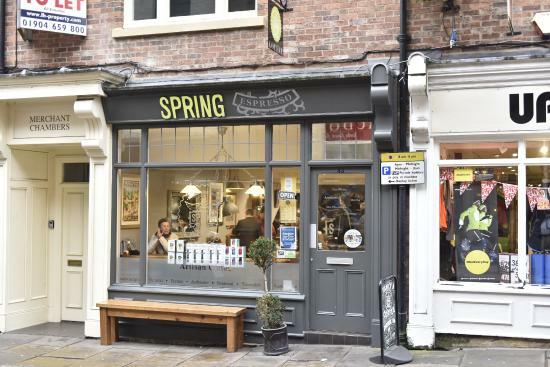 Spring Espresso in York, England has no Wifi. Everyone seems content and the owner is happy because customers keep returning. I love coffee houses—all stripes and sizes—and I’m lucky to live in a city that encourages the opening of new coffee cafes with fond regularity. When a new place open I try to patronize it as often as I can; order coffee with a bear claw and read a book, magazine or a newspaper. But the moment I go to a café and all the tables are taken by the wannabe writers taking up space with their computers, that’s the day I go elsewhere. The wannabes sit on the tables like crows on a farmer’s fence. They leave no room for the genuine coffee drinkers. I feel sorry for the coffee house owners but if they don’t care why should I. Lately, some coffee house owners are limiting the number of tables the wannabes can sit at and others limit the perch time. Owners might charge $5 per hour to rent a table and you sign in at the register for the privilege. GUEST BLOG / By Dr. Mariann Hardey, a social media professional, academic and university lecturer. 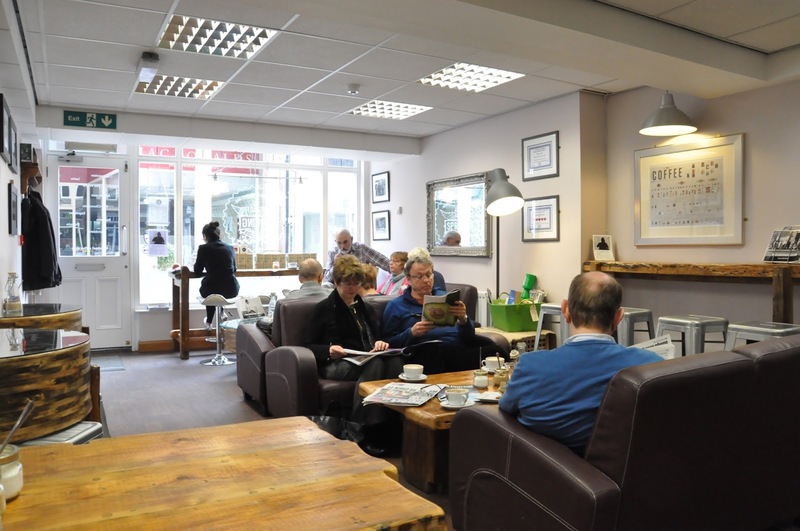 “I am writing this from Spring Espresso in York, the best independent coffee shop in England. I am one of only two customers with a laptop and triumphantly celebrate this observation. The other customers are doing what you are supposed to do in coffee shops. Drink coffee. "Two years ago when it opened I told the owner of this place not to have Wi-Fi. Why? Because it only attracts people like me - people who come, sit all day and sit there until closing time while their espresso dregs petrify at the bottom of the cup. "As seasoned travellers you and I can agree on the critical importance of digital information exchanges. We demand it: everywhere. "But look at it from the café's viewpoint. They want footfall. Wi-Fi encourages it. But it's the wrong kind of footfall. "My chosen area of research is the ubiquity of digital technology. You would think that I would applaud Wi-Fi in every setting. "I see open access as a serious threat to the character of places that are designed to be social - 'social' in the old sense of human beings meeting other human beings, as opposed to a neutral space where you get to access Facebook. "Our sense of being in the moment leaves us as our consciousness flit around cyberspace. If you are in York, be in York. You don't need Google to locate yourself. You already have state of the art 3-D, multi-sensory equipment: eyes, ears, hands, noses, and brains. "So how has this radical idea - no Wi-Fi - worked for Spring Espresso? You do hear people voice their outrage. Then, slowly, they appreciate the ambience, the setting and the coffee: and they return. These are unique things. Anyone can have Wi-Fi."